Pittsburgh Pirate Andrew McCutchen, who was on the cover of Sony’s MLB 13: The Show last year, offers some virtual baseball advice. Last year, Pittsburgh Pirates All-Star Andrew McCutchen helped propel his team to the post season. While he didn’t get to, or win, the World Series, he did have quite an honor in the video game realm. The slugger beat out six other MLB All-Stars before the first pitch was thrown to be voted by fans onto the cover of MLB 13: The Show. The perennial All-Star talks about his own video game playing in this exclusive interview. What advice would you give someone that’s going to play as your team in the new MLB The Show game? The advice I could give them is if you want to hit home runs keep it right center to right field, straight centerfield and straight left field. You have to stay out of that gap and that center because it’s pretty difficult to hit them out there. But other than staying away from those, try to make sure you hit a double. If you know you’re going to hit a double, you have to progress slow just like in real life. If you’re around first base and you’re thinking about it, don’t do it because they’re going to get to it and they’re going to throw you out. What are your thoughts on how far baseball video games have come over the years? They’ve come a long ways. Something that really sticks out with MLB The Show is looking at the fans in the stands. Everyone is different. When you look back in the day all they had were little dots and that was it. It wasn’t actual people there. But the games now have people doing different antics on their phones, watching games and talking. And you have people going by selling hot dogs and drinks. Those are the cool things in this game that people don’t really recognize, but they add to the experience. How good are you when you play these games? I’m alright. I’m not too bad, but I think I’m actually better at the actual game of baseball than I am the video game. It’s kind of tough. But at the same time the more you play it, the better you get at it. How popular are video games with your teammates? Very popular, and it’s top of the line for all of us. A lot of us are gamers, too. We’re little kids at heart. We all like to just play different games that come out, especially MLB. We’re in the game, so of course we want to play it and see how we look. What role do you feel baseball video games play in growing the sport around the world? I think they play a big role. You look at players like Masahiro Tanaka that’s come over from Japan and is playing in the States, and people from all over are able to see this game and get intrigued by watching it. In a lot of places we don’t get the opportunity to play baseball all the time. They’re able to play MLB: The Show and it makes them want to play, especially with this beginner mode. I think that’s going to help make guys want to play the game a lot more in real life. Based on the realism of this baseball game, can rookies use the video game to prepare for real games? I really don’t know. From a mental standpoint maybe at some point they can, but baseball all-around is the same game from the big leagues to the minors. The only difference is the consistency and that’s it. I don’t think that if someone is a very good baseball player on this video game that they’re going to be real good and be able to do things in real life. That’s a little far-fetched, but it definitely is good just to be able to see the players and they have. At least you know that this pitcher has a cutter, that guy has a slider, etc. What’s your favorite piece of tech or gadget that you can’t live without? I’d have to say my PS Vita. It’s something that I definitely have to have all the time, especially during the season. We have long road trips sometimes. That flight to LA is five hours, so you have to have something on you where you stay busy and PlayStation Vita is definitely good. The good thing about the Vita is that I play Homerun Derby online against other players and even if they have a PS3 I can play against them online, so that’s a pretty neat thing about that. 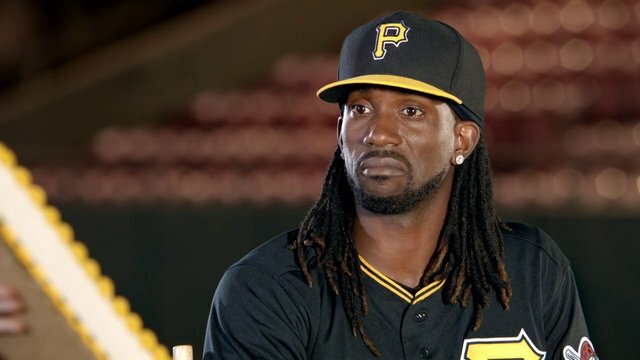 John Gaudiosi posted a new article, MLB All-Star Andrew McCutchen Gets Into The Game. Nice to see Shack reaching out to more than just developers or studio PR folk for interviews. If you’re around first base and you’re thinking about it, don’t do it because they’re going to get to it and they’re going to throw you out.